Ten years later, Sally tells of how the Lord led her to craft this book, and how He continues to use it to bless millions of hearts around the world today. 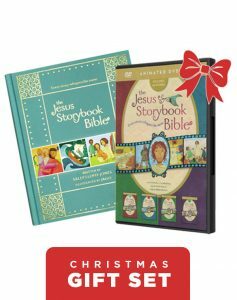 The Jesus Storybook Bible, written by Sally Lloyd-Jones and illustrated by Jago, is celebrating its tenth birthday with this beautiful clothbound gift edition. A Bible like no other, The Jesus Storybook Bible invites children to join in the greatest of all adventures, to discover the Great Story that’s all about Jesus—and to make that story their own.